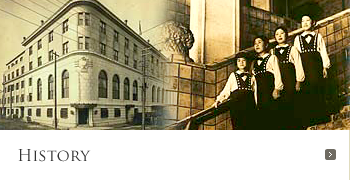 Since its opening in 1927, the Hotel New Grand has been witness to the history of the exotic port city of Yokohama as Japan's leading hotel. The Main Building, which remains unchanged from 1927, has welcomed many historic figures including General MacArthur, Charlie Chaplin, and Babe Ruth. From the guest rooms, restaurants, and banquet halls in the Tower adjacent to the Main Building, you can enjoy spectacular panoramic views of the port of Yokohama, such as the Bay Bridge, Osanbashi Pier, and the night view of the Minato Mirai district. 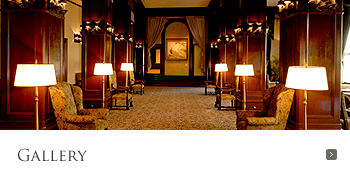 which represents the world's finest luxury hotels and resorts. Under the slogan "the latest equipment and French-style cuisine," the Hotel New Grand has made significant efforts to make its restaurants shine. As part of this endeavor, the first grand chef, S. Weil, played an important role; he not only produced authentic French dishes but also incorporated dishes inspired by the free spirit of downtown Paris into a hotel restaurant, though at that time such restaurants were usually very formal and classical. He also demonstrated a customer-oriented food service by offering an a la carte menu in addition to the course menu. Furthermore, he introduced rice gratin, spaghetti Napolitan, and pudding a la mode, dishes that are now widely enjoyed throughout Japan. He therefore significantly influenced Japanese food culture. These "yoshoku" (Western-style) dishes, which originated at the Hotel New Grand and spread across Japan from Yokohama, are still served at the coffee shop on the first floor of the Main Building. 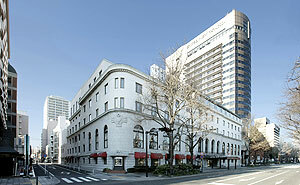 We look forward to serving you in Yokohama, just south of Tokyo, when you visit Japan. We hope you will enjoy these dishes and that they become one of the most memorable experiences of your trip.